Established in the year 1993, PACMAR SHIPPING PTE LTD has grown over more than two decades with aim to connect continents and to deliver it at the highest standards & flexibilities for our customers. Being stationed at the world’s busiest crossroads, Singapore; a hub gives an opportunity of being in touch with Asian companies as well to serves principles from around the world, in addition of European background adds another flavour to grow our shipping company. With our expertise, we have emerged as one stop quality shipping in three main field; Ship Chartering, Ship Agency & Ship Supply. Compete in fierce and fast pace on the international port of Singapore, our flexibility that defines itself by knowing the value of personalized services and solutions that bring two-way communication between us and our customers 24/7. We also specialise in importing European provision products that are not available in Singapore. 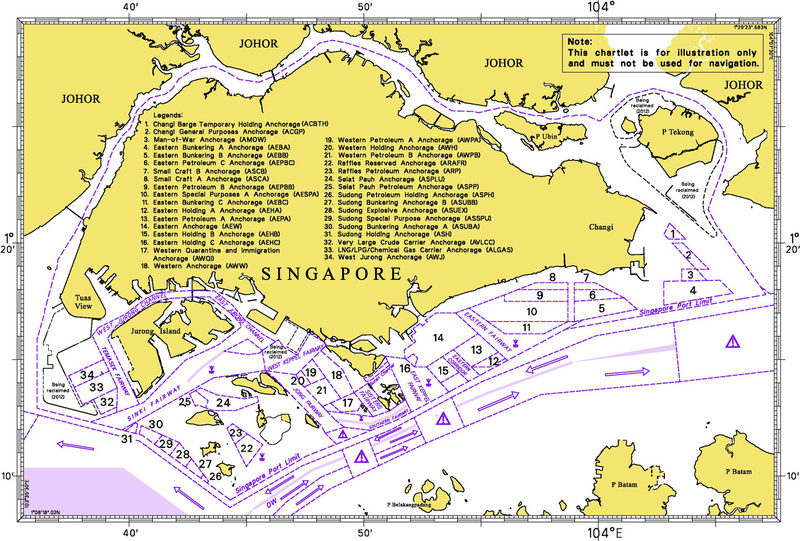 Below calculation is estimation for the vessels calling Singapore Anchorage for bunker supply for the stay up to 24 hrs. Note: This is an estimation figure for your reference, for more detailed calculation of proforma D/A please contact us.